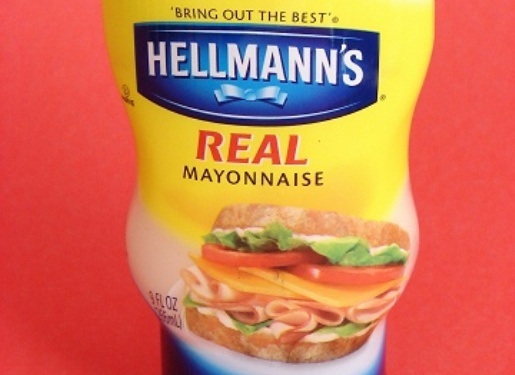 Bring out the Hellmann's and bring out the best, ding ding! The interstate turned delicious just outside of Springfield, Missouri, yesterday. A truck carrying mayonnaise went out of control, wound up wedged between an overpass support and a guardrail, and spilled 20 tons of mayonnaise into the street. Interstate 44 was soon beset upon by hungry people with dry sandwiches, looking to sop up some of that delicious white gold before the fire department could hose it down. I-44 was closed for several hours on Saturday for clean-up, but no one was injured. Mayo is only the latest spill to deliciously clog up our nation’s interstates and arteries. There have also been recent spills of coconut oil and Jello. Between frying medium, gelatin, and mayo, it’s like someone dumped a church pot luck dinner into the streets. All you need is some kind of massive chicken spill to go into the spilled frying oil and you’d have yourself Sunday dinner! The prime suspect in the mayo spill appears to be Miracle Whip, though official spokespersons for the salad dressing deny all involvement.